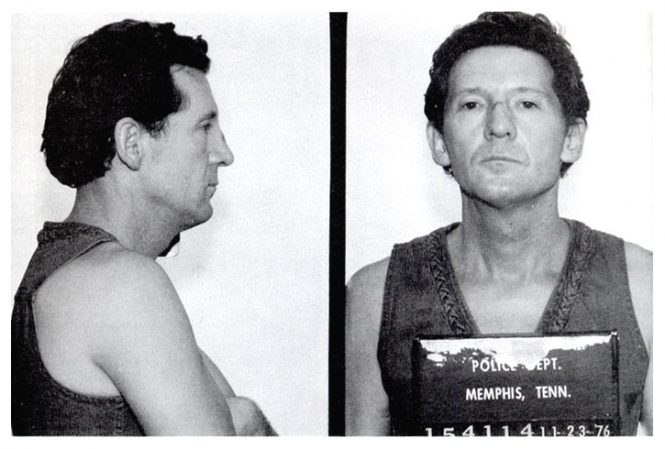 Legendary musician Jerry Lee Lewis was arrested by Memphis police in November 1976 and charged with public drunkenness and gun possession. Lewis, 41 at the time, was at Graceland waiving around a gun and demanding to see Elvis Presley when a guard called police on The Killer. Submitted by franktherabbit on Mon, 2010-11-29 13:33. WTH was he trying to find Elvis for?